India’s first Test preparations have been dealt a serious blow with boom youngster Prithvi Shaw carried from the field during their tour match against a Cricket Australia XI in Sydney. 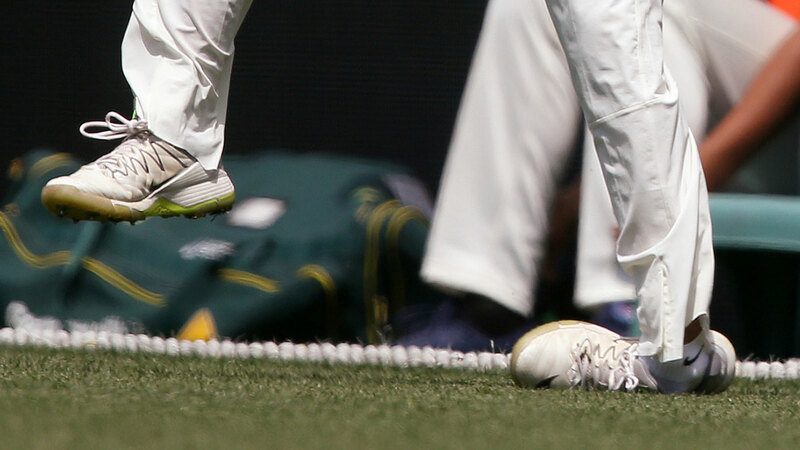 Shaw appeared to roll his left ankle while attempting to take a catch on the mid-wicket boundary, and was in obvious pain as he lay on the ground, thumping the turf in frustration. The Indian team has confirmed he's been taken to hospital for scans. While the world’s number one batsman Virat Kohli has understandably been the focus of attention prior to the series, Shaw is already being compared to none other than the great Sachin Tendulkar. The ridiculously talented opening batsman has already turned heads in his brief career, described by no less an authority than Kohli himself as a far better player than he was at the same age. Shaw announced himself to the cricket world at the age of just 14, when he made the outrageous score of 546 in a Harris Shield match in Mumbai, immediately drawing comparisons with the great Sachin Tendulkar. He made a century on his first-class debut at the age of 17, a century on Test debut against the West Indies last month at 18, and for good measure claimed the player of the series award as well. Although he’s played just three Test innings, an average of 118.50 shows he’s more than ready for the step up to Test cricket. “Shaw looks like someone who can get you off to the kind of start that you require, especially to make the first mark in any series that you play. It's great to have a guy who is so fearless, and he isn't reckless, he's very confident about his game,” Kohli said. Shaw has already dealt Australia a major blow in 2018, when he captained the Indian Under-19 side to victory at the World Cup, defeating an Australian side in the final that contained Jason Sangha, Jack Edwards and Lloyd Pope, all of whom have made their mark in Sheffield Shield cricket this season. He made his IPL debut earlier this year for the Ricky Ponting-coached Delhi Daredevils, quickly drawing the attention of former Australian batsman, turned TV commentator Mark Waugh. “The first thing you notice is his technique, it’s very similar to Sachin Tendulkar,” Waugh said on Star TV during the IPL. “His grip, his stance, he stays very still at the crease and plays all his shots around the wicket. He plays the ball quite late and is quite punchy in his stroke play and has an excellent base to play any shot from any bowler. Shaw enjoyed a successful IPL, where his team-mates included Glenn Maxwell and Gautam Gambhir, scoring 245 runs from his nine games. According to Indian coach Ravi Shastri, Shaw has the world at his feet. “He is born to play cricket,” Shastri said after the recent series against the West Indies. “He's been playing since the age of eight in Mumbai, you can see all that hard work showing. He's a spectator's delight. “There's a bit of Sachin (Tendulkar) there, a bit of Viru (Virender Sehwag) in him and when he walks - there's a bit of (Brian) Lara as well,” Shastri said, referencing three of the most exciting players of the last 30 years. Shaw’s Australian tour began in promising fashion, with an entertaining 66 off 69 balls against the Cricket Australia XI at the SCG, before the ankle injury cast a cloud over his participation in next Thursday’s first Test.